Wild fish from Qiandao Hu, a reservoir in the Zhejiang Province in eastern China, have increased mercury (Hg) concentrations exceeding the World Health Organization’s (WHO) recommended guidelines. Due to the importance of freshwater biota in the local cuisine, dietary exposure to increased neurotoxic Hg is a concern in this region. An environmental hair-marker study was undertaken coincident with a cross-sectional epidemiologic study with 50 women age 17–46 years living in a Qiandao Hu fishing village. Diet, occupation, and other possible sources of Hg were recorded by way of questionnaires. Total mercury (THg) and selenium (Se) concentrations were measured in human hair samples and in important market fish species. Fish THg and Se concentrations were increased, with some fish concentrations >200 ng/g THg and 500 ng/g Se (wet weight [ww]). However, the average hair THg was low at 0.76 ± 0.51 μg/g dry weight, lower than the WHO’s no observable–adverse effect level (50 μg/g), whereas the average hair Se was 1.0 μg/g. 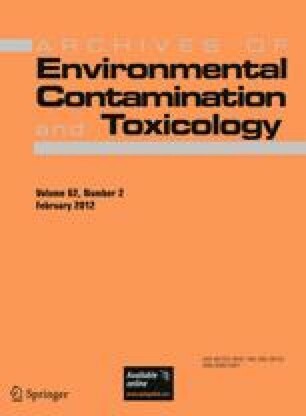 Hair THg concentration was positively associated with the average mass of fish consumed weekly, indicating that fish consumption is the main contributor to hair THg in this geographic area. The age-related hair THg trend was not linear but instead demonstrated a rapid increase in THg before age 25 years, followed by consistent concentrations in all ages after age 25 years. There was a positive correlation (p < 0.001) between molar Se and Hg in the hair samples, suggesting a possible antagonistic relation. This is the first study examining the relation between dietary Hg exposure and hair THg in an eastern China community where freshwater fish, as opposed to marine fish, dominates the cuisine. We thank Liyan Xing, Qun Miao, and John Poulopoulos at Queen’s University for helping with laboratory analyses. Roxanne Razavi and Matthew Ponsford at Queen’s University provided THg and Se data for seven fish species for this project. Funding for this project included a Queen’s Chancellor Research Award; the Queen’s Principal Fund; an NSERC Discovery Grant to L.M.C. ; and an Environmental Studies Graduate Research grant and graduate support to T.F.